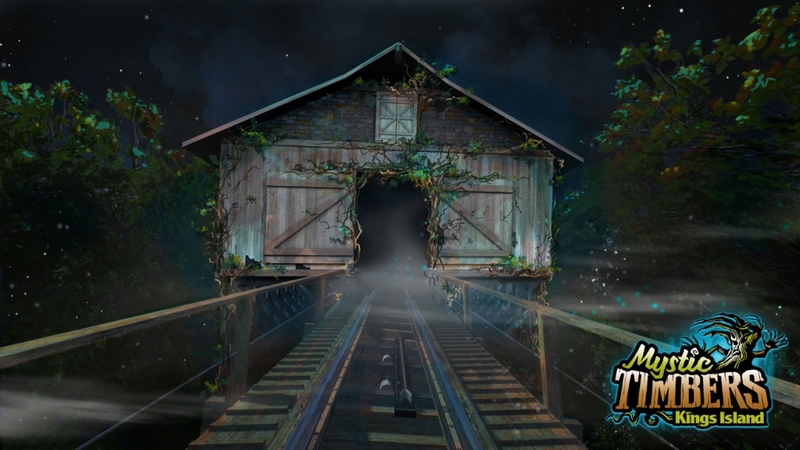 InSanity lurks Inside: Breaking - Kings Island Announces Mystic Timbers Coaster for 2017! 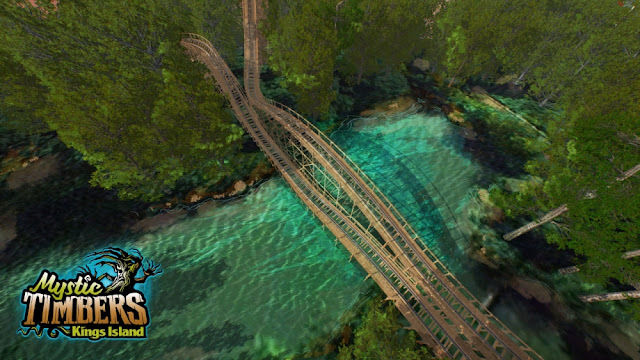 Breaking - Kings Island Announces Mystic Timbers Coaster for 2017! The creation from GCI marks the park's newest and baddest coaster to be added to the family of already insane creations. So, let's get right to it and stop waxing poetic about the whole thing. Mystic Timbers will be located in the Rivertown section of the park. Already home to The Beast and Diamondback, the newest creation from GCI looks to be one insane addition to the park. The lift hill will be 109ft and the first drop 97ft. Traveling at 53mph this one is going to one wild ride through the trees and cover 3m265ft of track as you fight against nature itself. 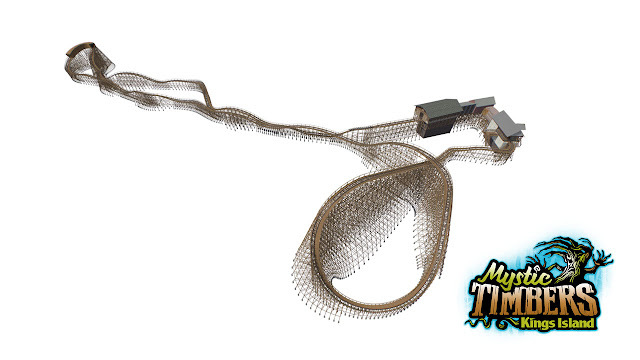 The ride itself will feature 16 airtime hills and an extreme S-turn feature. There's been talk about a shed, and this is sounding very much like what's going on with Verbolten at Busch Gardens Williamsburg. 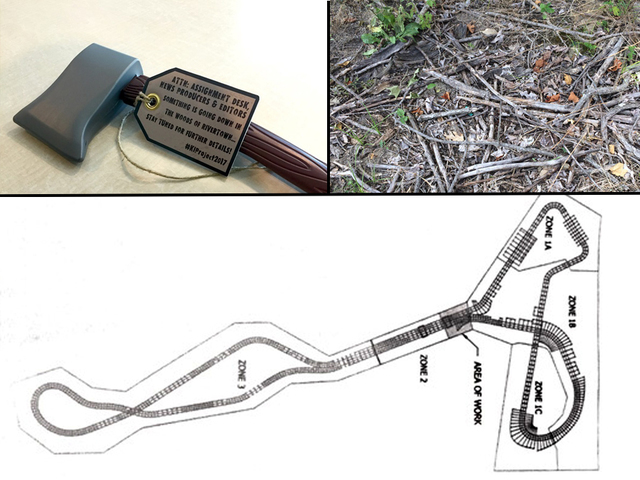 Is it a drop track, marking the first ever wooden coaster with such a feature? Something else all together twisted? They're not saying, but it definitely smells like something that's similar in nature. Here's some of the official word from Kings Island on the parks 16th coaster! "Themed to an area surrounding a lumber company becoming overrun by a mysterious medusa-like overgrowth of vines as nature reclaims its land, Mystic Timbers will be 3,265 feet in length, reach 109 feet in height and weave along steep cliffs, down ravines, cross over water and go through an extreme S-turn, among a forest of trees, at speeds up to 53 mph. 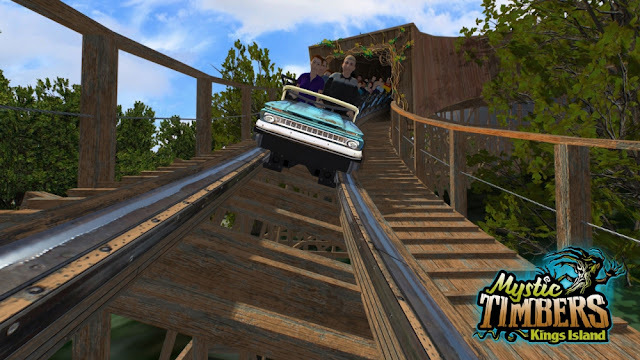 The ride will feature a total of 16 airtime hills, a mid-course tunnel and interact with parts of the Kings Island & Miami Valley Railroad and White Water Canyon attractions." Check out more details and the POV below! Stay tuned as we get more updates on this!